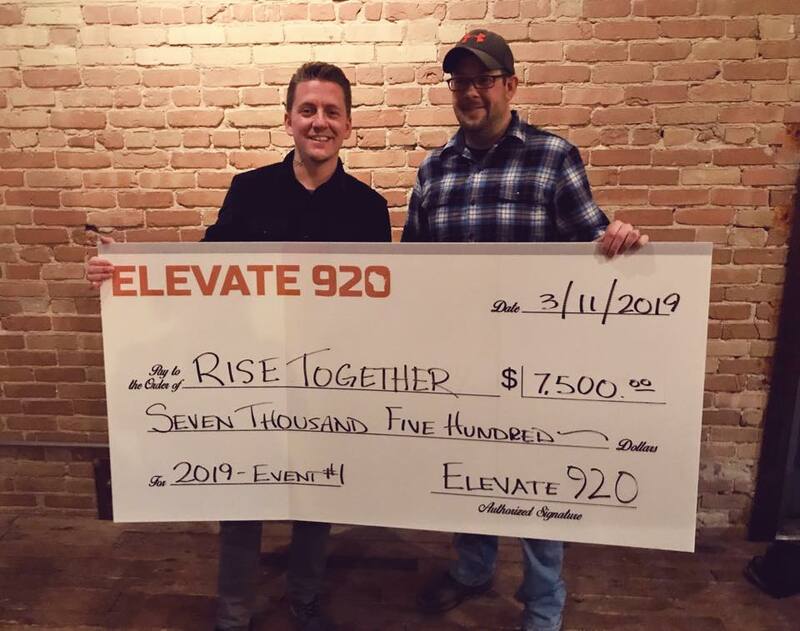 This March, Elevate 920 held their first event in Neenah, Wisconsin. Presenters included Danielle Trochinski from AvaStrong Charity, Anthony Alvarado from Rise Together and Mary Parsons from LEAVEN Fox Cities. All 3 charities did a great job with their presentations and in the end, their members selected Rise Together as this quarter’s recipient. Thank you to all of the people who continue to support this movement. Without you, none of this would be possible! Many have asked about Elevate 920. The concept is pretty simple. Once per quarter, each of their members donates $100. Those individual donations are combined to form one massive donation. Each quarter, their members can nominate their favorite charities. From those nominations, they choose 3 at random to present at the event. The 3 presenters get 5 minutes to tell their story. Once all 3 are done, their members vote and the charity with the most votes is awarded that quarter’s donation. There are no requirements to join their group. Anyone who is looking to help make a difference in our community is eligible. Their next event will be in June (date and time TBD). If you are interested in joining or want to learn more about the group, please visit their website,www.elevate920.com.